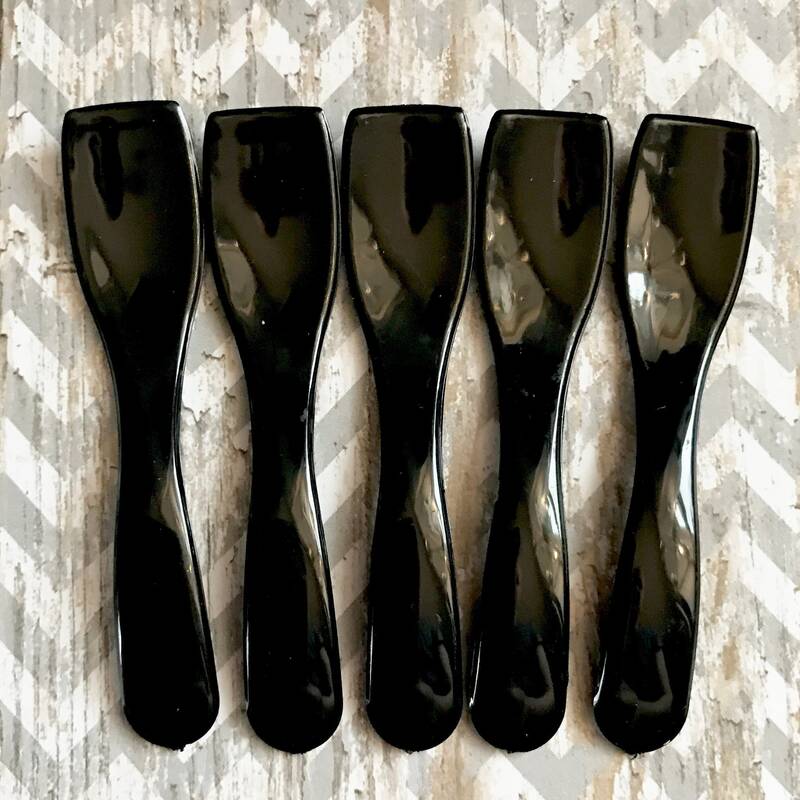 Our Curvy Cosmetic Spoons are perfect for salt & sugar scrubs, body frosting, body butter, whipped soap, creams & other cosmetics. They're reusable, but cheap enough to be disposable when used as testers. 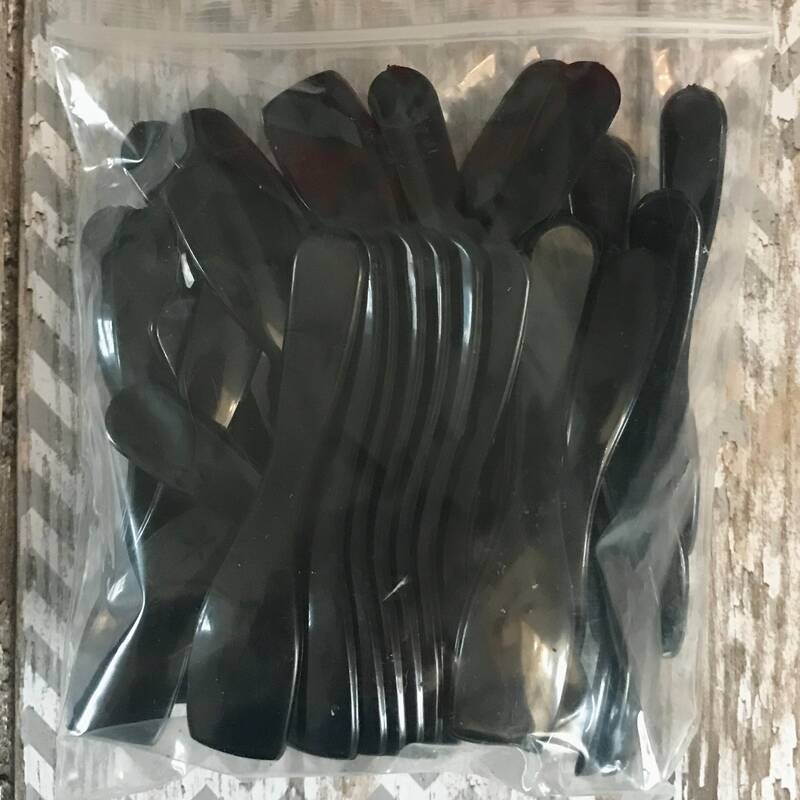 This listing is for 50 black curvy cosmetic spoons. They are 2.75" long. We carry white and clear too. They're made out of recyclable polystyrene. Perfect! Fast shipping, great price, and just what I needed for my small jars of scrubs. Came exactly as described! Perfect for what I need it for. Thank you! 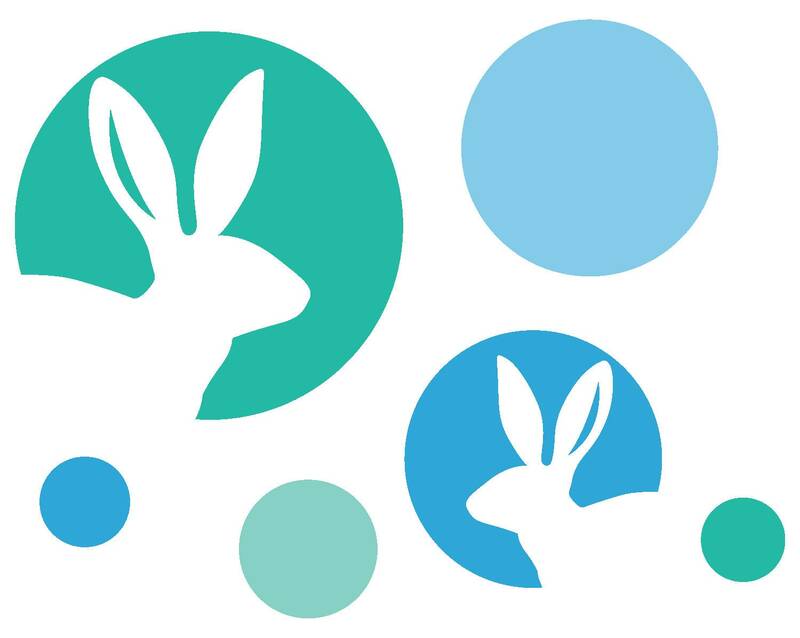 Love your shop! Will shop again for sure! These work great for my beauty care samples! !